Since this post was written, much has been happening in the Red Light Camera Ticket world. First of all, the Florida Supreme Court ruled in Jimenez v. State, on May 3, 2018, that the cities are within their rights to have these cameras installed and issue tickets. As soon as that ruling came down, it caused a huge blow to our (and all) attorneys ability to fight them. Basically, once that ruling came down, the lower courts had to allow cities to write tickets and it made it nearly impossible to fight them successfully. Now, I say “successfully” because it has always been our philosophy at Unger & Kowitt to only charge people money to fight them IF we firmly believe that we can beat them and get them thrown out. Once that ruling came down, it became obvious that Courts were no longer going to allow the attorneys to make motions or arguments to get cases thrown out. Therefore, in almost every instance, we stopped handling these types of cases. The one exception is if you received a Red Light Camera Ticket and forgot about it, or missed your deadline to pay the $158. If that did happen to you, your notice of violation automatically turned into a Uniform Traffic Citation and now you must pay $277 AND you will receive a mark on your driving record. We are fighting those mainly to keep the adjudication from appearing on your driving record, which we can do. But again, if you have the option of paying $158, we still recommend that at the moment because it’s the better and cheaper option. If you notice, I did write “at the moment” because as you read this, new challenges are being made to the way some cities are ticketing drivers. Mainly, those making a right turn on red, and I believe those will be successful soon. As soon as that’s the case, I will blog again and keep you posted. Finally, some good news in the fight against Red Light Camera Tickets in Florida. 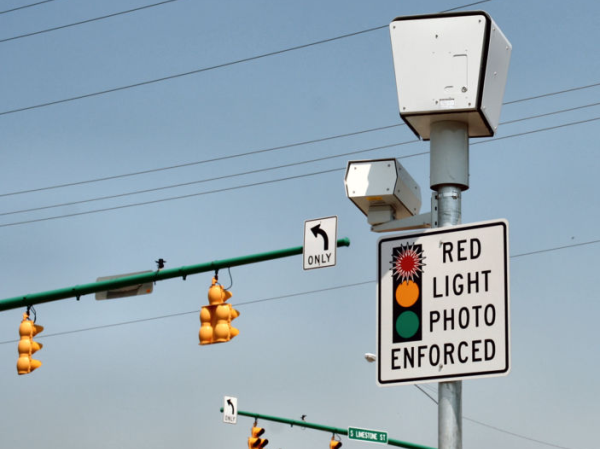 Today, the Fourth District Court of Appeals ruled that it is NOT legal for the cities to continue to issue Red Light Camera Tickets in the manner in which they have been issuing them. The full ruling can be viewed here. A very quick recap for those of you who have not been reading my blog (where have you been?). The cities in Florida have been doing business with a private company in Arizona, American Traffic Solutions (ATS), who has been sending tickets to Florida drivers for years and splitting the money with the cities and counties. I have been screaming that this is wrong for years. No single issue has generated more anti-government comments both on our blog and from calls to the office. People have been fed up and we have been fighting thousands of Red Light Camera Tickets for these people. There have been many challenges to date that have not always worked out, but lawyers have been continuing to fight and today, they were able to score a major victory. In a nutshell, ATS (a private vendor), was reviewing the videos and alerting local cities to violations so that tickets could be issued. The courts ruled that the cities DO NOT have the right to delegate police work to a private company. Now, what does this mean in the long term? Short term? Too soon to tell. Here’s why. This ruling is only in the 4th District Court of Appeals, which only includes Broward, Palm Beach, St. Lucie, Martin, Indian River, and Okeechobee Counties. This ruling can be used in other counties, but it’s up to each judge in those counties if they want to follow the ruling. Additionally, this ruling only applies to those cities that were issuing Red Light Camera Tickets in the exact same manner as the city of Hollywood (allowing the private company to determine if a violation occurred). It is possible, the city of Hollywood was the only one operating this way or that they have changed their procedures since this ticket was written. Obviously, we will immediately begin to question every city employee as to their Red Light Camera Ticket procedure to determine if this ruling applies. It is another weapon in our arsenal against these terrible money grabbing cities. Keep checking back for further information. This doesn’t mean the battle has been won, but today is a day to celebrate. Enjoy. Do you have a Red Light Camera Ticket? Now might be a great time to fight it. We offer a FREE consultation. Call us at 866-374-8355. Next PostNext Help! My Teenager Got His First Ticket. Now What?